Q. How do I renew a book that I have checked out? 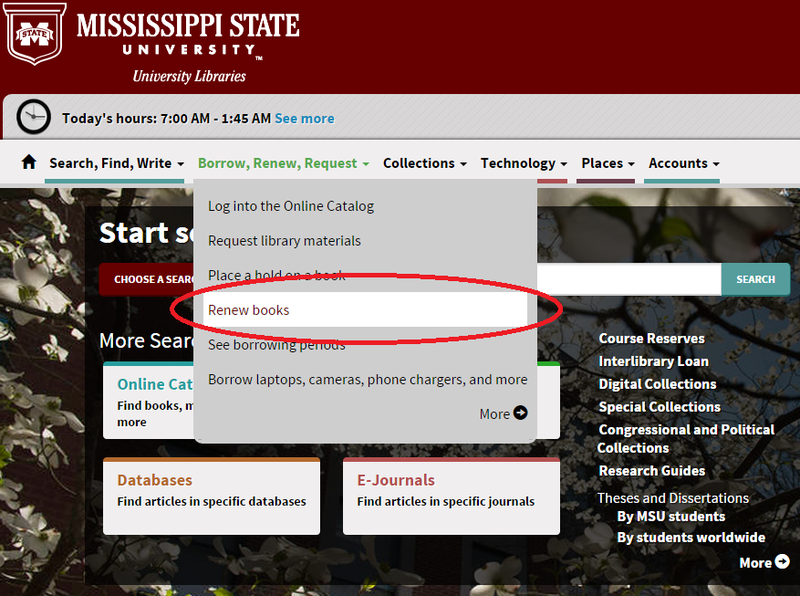 On the library's main page, http://lib.msstate.edu, click on "Borrow, Renew, Request" on the top of the page. From the drop-down list, select "Renew books." This page will provide you steps on how to log into your account with the Online Catalog and renew the books you would like to renew.